Unique artistic creations, the Alhambra and the Generalife of Granada bear exceptional testimony to Muslim Spain of the 16th century. 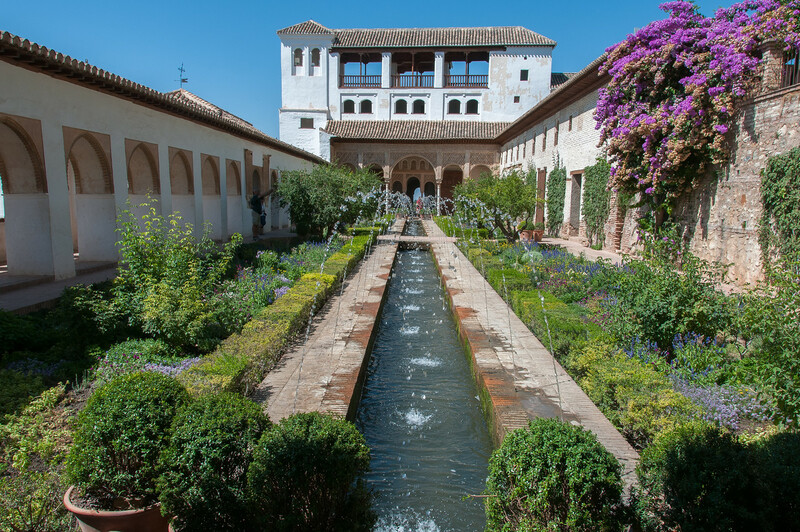 They form an exceptional example of royal Arab residences of the medieval period: neither destroyed nor changed by the alterations of radical restorations, the Alhambra and the Generalife appear to have escaped the vicissitudes of time. Despite the development that followed the Christian conquest, the Albayzín still bears witness to the medieval Moorish settlement, as its urban fabric, architecture and main characteristics (form, materials, colors), were not changed when it was adapted to the Christian way of life, to survive as a remarkable example of a Spanish-Moorish town. If you were to make a short list of the most important heritage sites in the world, the Alhambra would almost certainly make the cut. It is not only an architectural marvel but also serves as Spain’s greatest monument to the period of time when the Moors ruled the Iberian Peninsula. 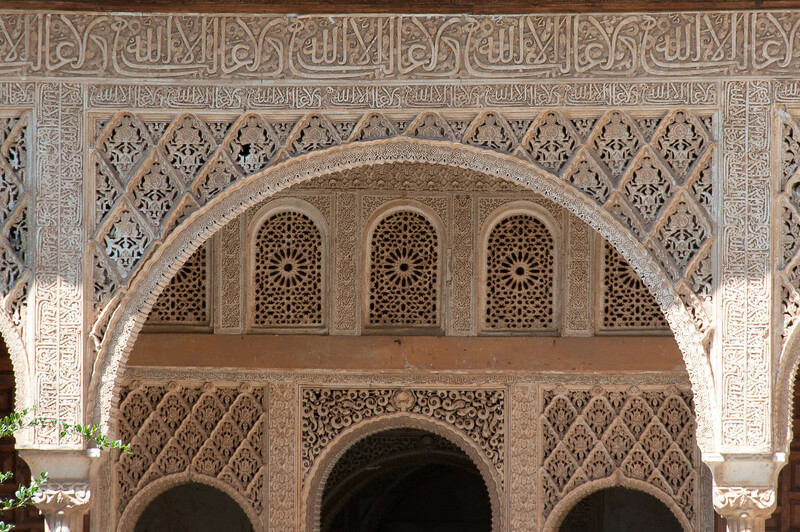 The historical and cultural significance of the meeting of the Arab and Christian worlds can still be seen in Spain today in the names of many places, architecture, and food. 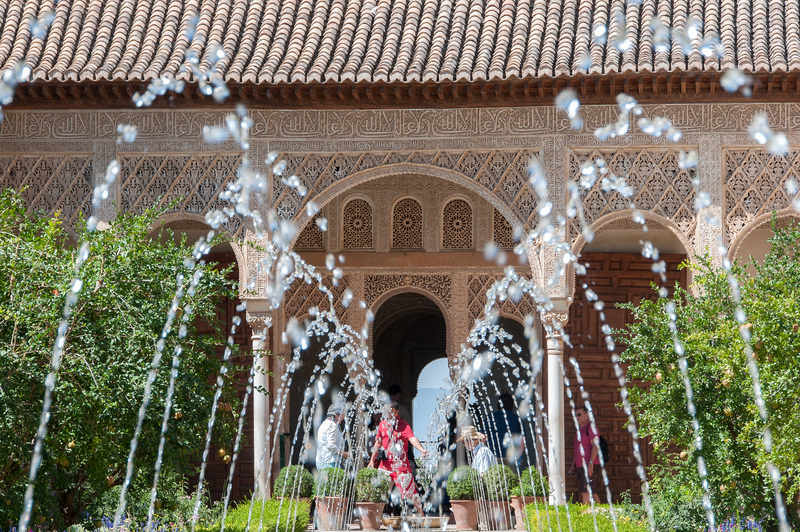 If you are in Grenada, a visit to the Alhambra should be at the top of your list. Make sure to buy your tickets in advance or arrive very early, as there are a limited number of tickets available every day and they do sell out quickly. Alhambra, Generalife and Albayzín, Granada is a cultural site listed as one of the UNESCO World Heritage Sites in Spain in 1984. This property is a collection of various sites noted for its exemplary reminder of Moorish Spain. During the 8th century, the Iberian Peninsula was conquered by the Islamic Moors of Northern Africa. Since the initial conquest, there was a struggle between Moors and Christians that lasted for centuries thereafter. The Nasrid Dynasty was the last of the Muslim dynasty to take over Spain until they were all banished in 1492. The many years of struggle against the Moorish folks have also resulted in lasting evidence in various aspects of life in this part of Spain, but it is most evident in the architecture. The urban landscape and the medieval European heritage combine to the Alhambra, Generalife, and Albayzín, Granada being named as a UNESCO site. The UNESCO property of Alhambra, Generalife, and Albayzín, Granada is located on two hills located next to each other. These two hills are only separated by River Darro. Both Alhambra and Albayzin represent the medieval district in Granada, Spain. You will find beautifully preserved Arabic quarters in these parts of the city. This is also where you will find one of the best-preserved monuments from the Moorish era in the area, which includes the Alhambra fortress and residence, and the gardens of the Generalife. Alhambra, also known as the “red fortress”, is a complex made up of a palace and fortress. This was built for by the Moorish monarchs that once ruled Alhambra. The first mention of this fortress was in the 9th century. The city of Alhambra was transformed into a palatine city during the rule of the Nasrid Dynasty, which led to the building of the beautiful gardens that are still preserved until today. The Palacio de Generalife is another distinctive structure that emerged from the Moorish rule in Granada. It was the summer palace and country estate at that time. The palace was built for by the Nasrid dynasty in the 14th century. Albayzin, on the other hand, is the residential district in this UNESCO site. This residential area was included in the UNESCO protected area because it exhibits the Moorish influence when it comes to town planning and architecture. In fact, exploring Albayzin will showcase a harmonious co-existence of the Nasrid buildings with that of the Christian buildings. The small squares and narrow streets were part of the Medieval town plan that was adapted from the Moorish influence. This area is considered today as one of the best examples of Moorish town planning. Aside from being a premier example of Moorish town planning, Albayzin also earns a nod from UNESCO for its excellent state of preservation. They have maintained the original residential character of this town. This UNESCO property was inscribed in 1984. Ten years later, it was extended with the Albayzin quarter added to the protected area.